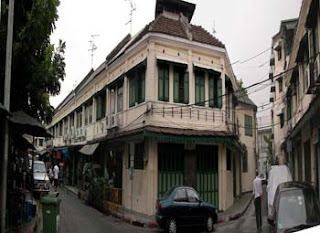 ………...Tucked between Tanao and Assadang Roads is a district where three streets join to enclose an old neighborhood. 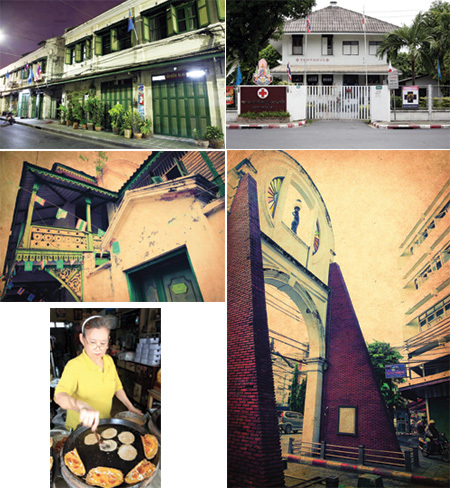 The Sam Preang area dates to the early Rattanakosin period and consists of three communties: Praeng Phutorn, Praeng Sapasart, and Preang Nara. 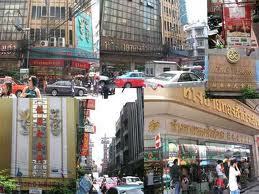 The three praengs (crossroads) were named after the Princes who once lived there. 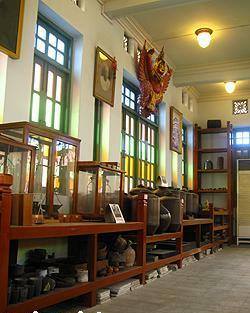 After they moved out, Chinese settlers moved in and opened shops; the community gradually became more active and lively. To this day, many trades have survived… locals frequent this part of the city to visit barbers and tailors, buy leather, and go out for food. The way of the khlong. ……….Although Taling Chan market drifted away for a while, it’s been progressively revived over the past twenty years. 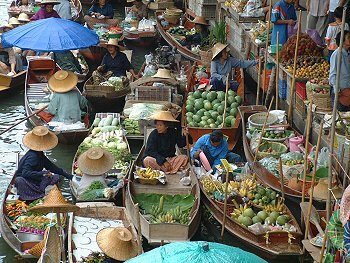 On the weekends, Bangkokians proudly go to a floating market within the borders of their city. Cheery merchants sell produce from their own gardens and fields. 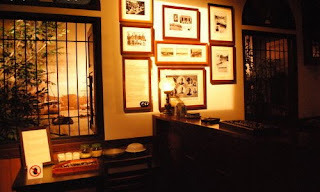 With plenty of savory and sweet treats freshly prepared along the canal, it ensures your jaunt will be a fragrant one. The nearby plant market is also a nice stop if you’re looking to add a splash of green to your living space. 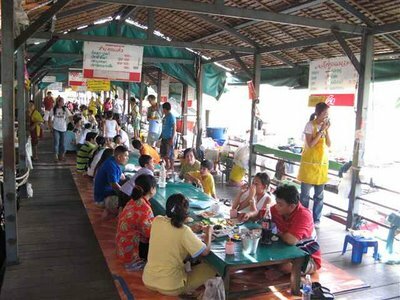 If you spend a day by the khlong, you won’t go wrong. 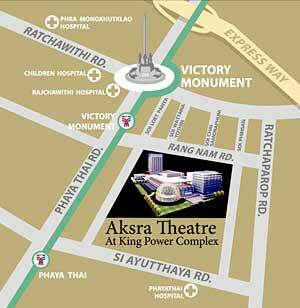 ……......Ask Thais and a majority will agree Khon is among the highest of performing arts and should be treasured. 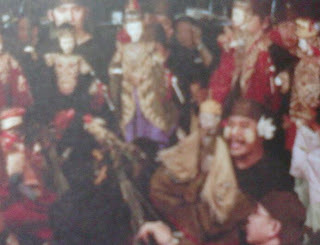 Problem is, previous performances lasted an entire day and many with the best intentions fell asleep instead. Good news comes with Khon Sala Chalermkrung; this contemporary version has been considerably abridged while retaining the grace of a traditional performance. 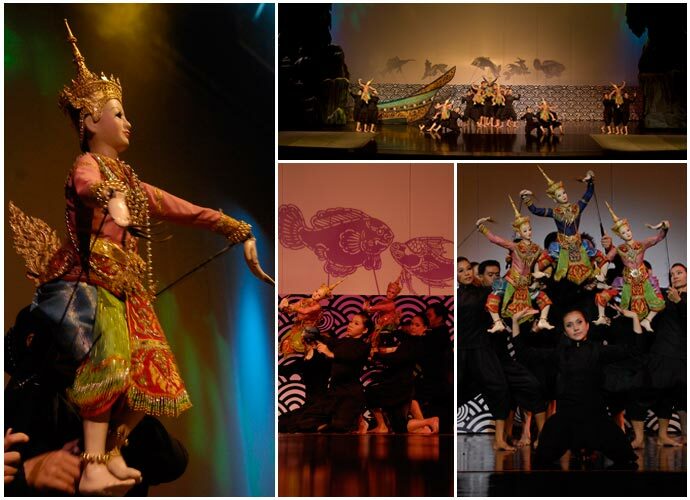 In a little more than an hour, you can view all eight acts of the Thai Ramayana and see authentic movements exacted with amazing skill. It’s a good litmus test for those contemplating a full-length Khon. 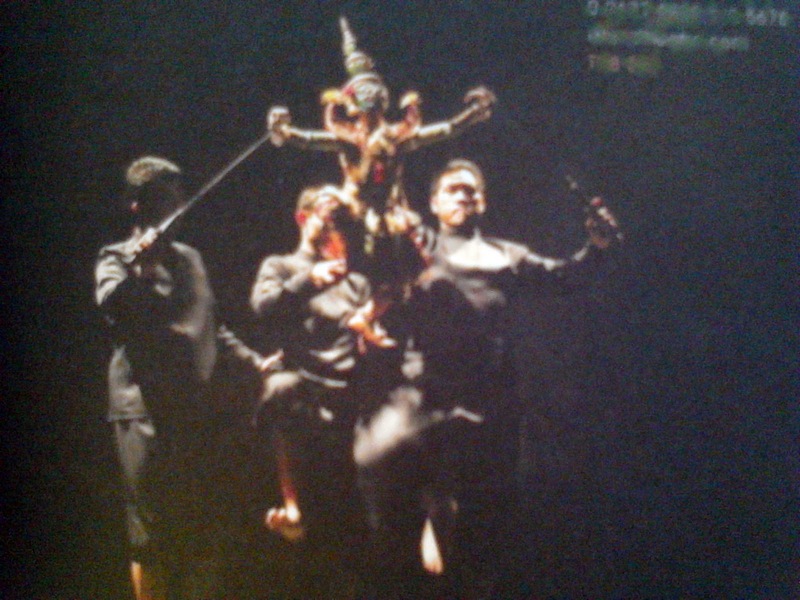 Since 2006, the troupe has been performing excerpts of the legendary Hanuman Chankamhaeng. One Friday so Saturday night, sacrifice that bucket of popcorn and humdrum movie to see an authentic Thai artform. Khon-isfaction guaranteed. BKK first: Sala Chalermkrung Theatre was opened in 1933 by King Rama Ⅶ in coordination with the 150 year anniversary of Bangkok. 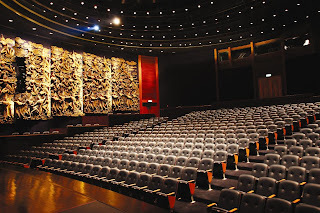 In a gesture of beneficence to his subjects, he built the theatre using his own funds. 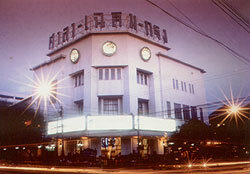 On July 2nd, 1933 the doors opened – becoming Thailand’s first movie theater with sound and Asia’s most modern air-conditioned theatre. Parading the past, in contemporary comfort. 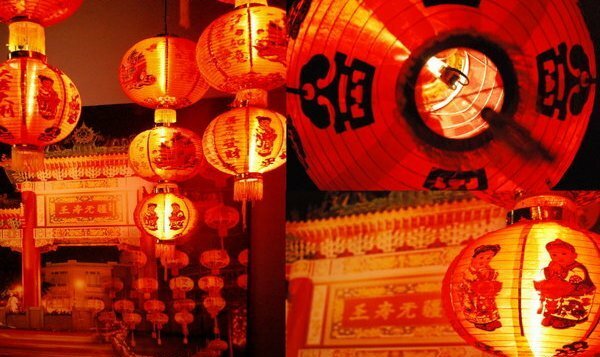 …………How to stage a tradintional performance yet keep it appealing even for today’s youth? 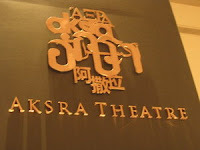 Aksra Hoon Lakarn Lek is one of those rare crossover productions that’s enjoyable for all. 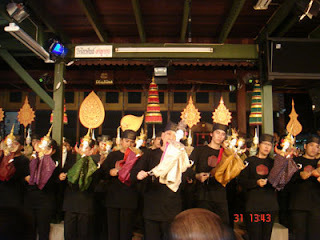 Come see traditional Thai puppets like Tua Phra, Tua Yok and Tua Nong in a contemporary staging of the Thai Ramayana. This adaptation includes Thai comedic puppets and variations like ornate Japanese and Korea beauties. The impressive sets combine with a remarkable light and sound show; take a seat in the world-class theatre complete with subtitles for the Thai deficient. Stay a little while after the show… you may just get a chance to rub elbows with Hanuman! Go by yourself, go with your family, go in a group – just go! ……… After rave reviews for his adaptations of the Chinese puppet plays Sam Kok (Romance of the Three Kingsoms) and Zhou Qiu (The Shipwreck) in 1990, Ajarn Chakrabhand Posayakrit and his talented troupe thought of answering the ovations by reviving Thai traditional puppetry. 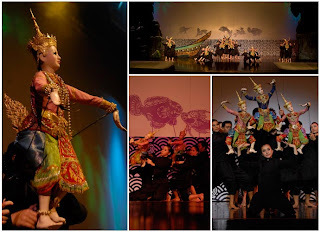 The next year, with help from his mentor Teacher Prayong Kijnitade (regarded as the guru of Thai puppetry), the ensemble performed their first show of Taleng Phai (Defeating the Burmese). For the past nineteen years, they’ve been hard at work crafting intricate puppets and learning how to articulate the precise movements for the show. 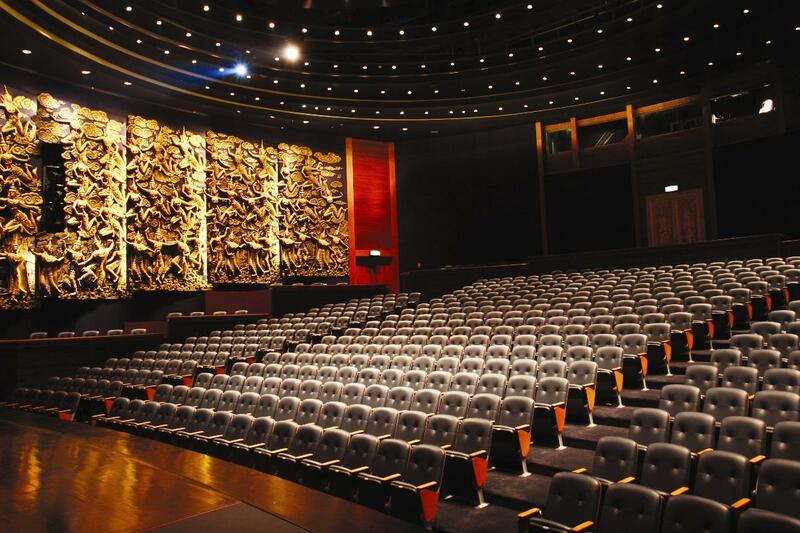 They’re still not finished; only 60 percent of the puppets and rehearsals have been completed. The entire operation is run out of Ajarn Chakrabahn’s beautiful wooden residence which is open to the public; it’s nice you can visit without having to pull any strings. 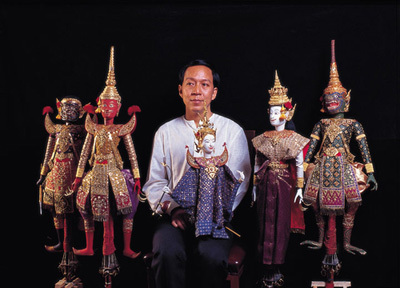 BKK note: Bestowed with Thailand’s National Artist Award in 2000, Ajarn Chakrabhand Posayakrit was also commended as one of the fifty-two masters of Rattanakosin during Bangkok’s bicentennial. …………Say the word ‘Yaowarat’ and Bangkok residents automatically conjure up images of gold. 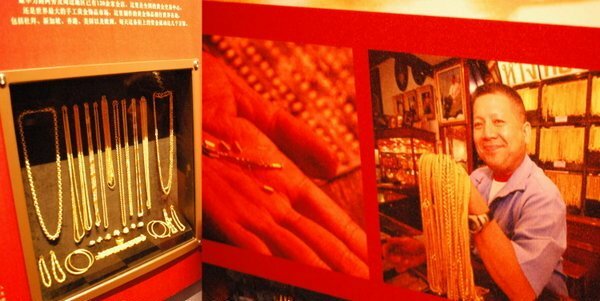 Sure, gold shops line the streets of the district, but very few know that sitting above one of the shops lies a glittering museum. First, find the building. Once the tallest in the area, built by the Dutch for the family… then climb up to see the beautiful old postcards and photos posted in the stairwell… finally end up in the workshop, still in use today. The shop has been in the family for around 140 years and you can still find some of the goldsmiths’ original tools and learn lots of neat stuff. BKK note: To an uninformed observer, the Tan Tok Kan clan’s most prized possession may look like a simple black rock. But when great-grandfather spotted this seemingly worthless piece of charcoal floating in the river, instead of ignoring it, he placed it on his family’s altar. This act came to represent his extremely diligent work ethic and now occupies a part of their family’s legacy. This also spawned the popular Thai saying, ‘Kon Ao Tan’ (literally ‘a person takes coal’), describing someone who isn’t afraid to work hard.